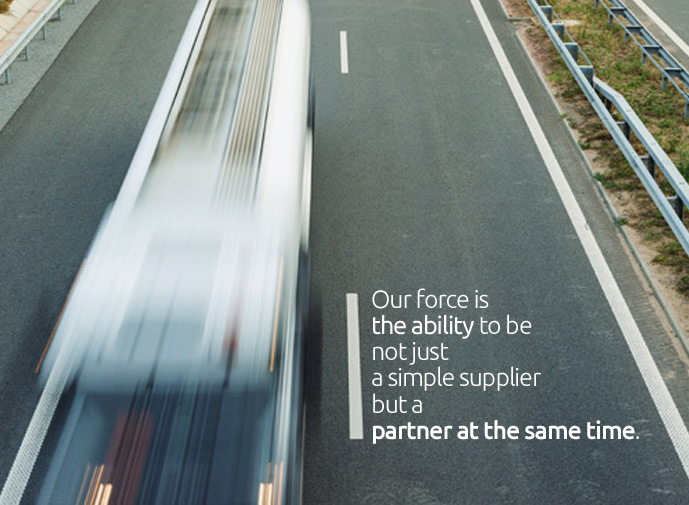 Our force is the ability to be not just a simple supplier but a partner at the same time. Thank to our logistic partner, we offer a full truck service for all transports in Europe, we guarantee the alongside service also in groupage in every port in Europe for maritime transports, and we carry out deliveries to the logistics structures inside the airports for world wide deliveries. Thank to the well spread and organized network we can guarantee high frequencies in the respect of the weekly delivery plan. Of course we develop specific projects to support the food service industry, we can deliver gluten free goods with a dedicate logistic line, and for what concern frozen food we have the possibility to stock goods both at positive and negative temperature, the stocking capacity goes beyond the 35.000 multi temperature spaces for the pallets in order to satisfy the requirements of factories, retailers, horeca and Delies. The respect of the cold chain is the essential condition to guarantee the quality, hygiene and food safety of the controlled temperature products. In the respect of the European and Italian laws, we use the best technical solutions with an always trained staff, following the procedures forseen by the haccp systems. Every single operation is seen as a link in a never sopping chain and the continuity is regularly registered. Our force is the ability to be not just a simple supplier but a partner at the same time. At the basis of our job there’s an efficient and reactive network to offer a circular service that goes from the choice of a particular product or ingredient that may be difficult to find in the foreign market to the delivery in time to the distribution platforms but to the retails as well. That’s why our customers choose us also for the solution of their transport and logistics needs.